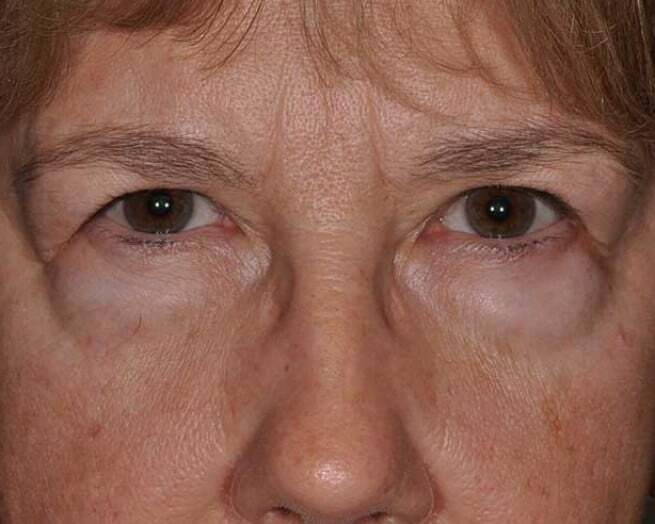 Woman in her 50’s before and after lower blepharoplasty with fat repositioning lessening the lower lid bag and tear trough change. She has some pink change from laser resurfacing of the lower eyelid two months postoperatively. This will resolve over the next few months. She was not bothered by the upper lid and brow.